This large fold-out map shows the whole of Riyadh in pinpoint detail. The easy-to-read map features road names and numbers, hotels, malls, parks, beaches, embassies, hospitals, and places of interest. 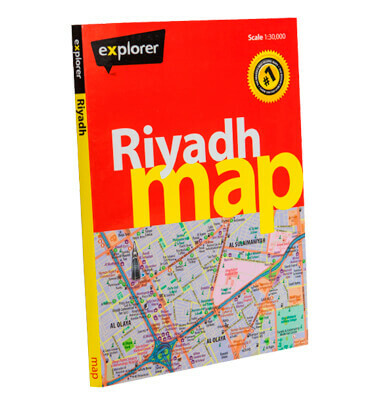 Today's leading map of Riyadh covers this dynamic city with pinpoint accuracy.